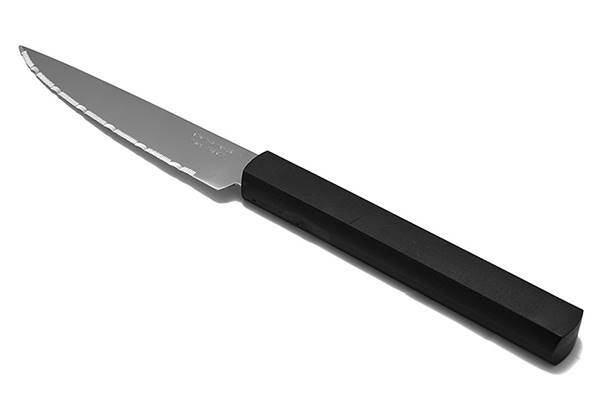 For the manufacturing of this black steak knife, TB, the French cutlery specialist has chosen high quality tempered steel. 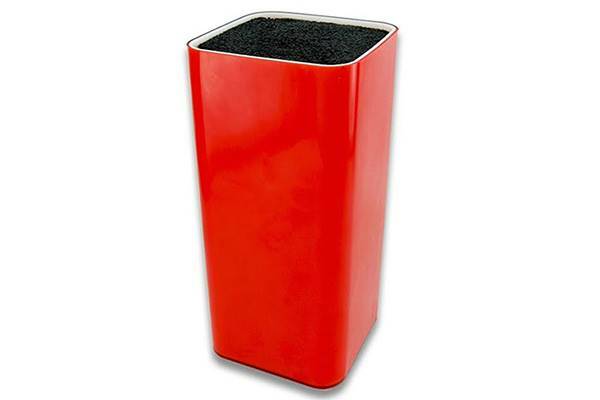 Very sturdy and sharp, this material is efficient for all kinds of meat but also for fruit and vegetables! 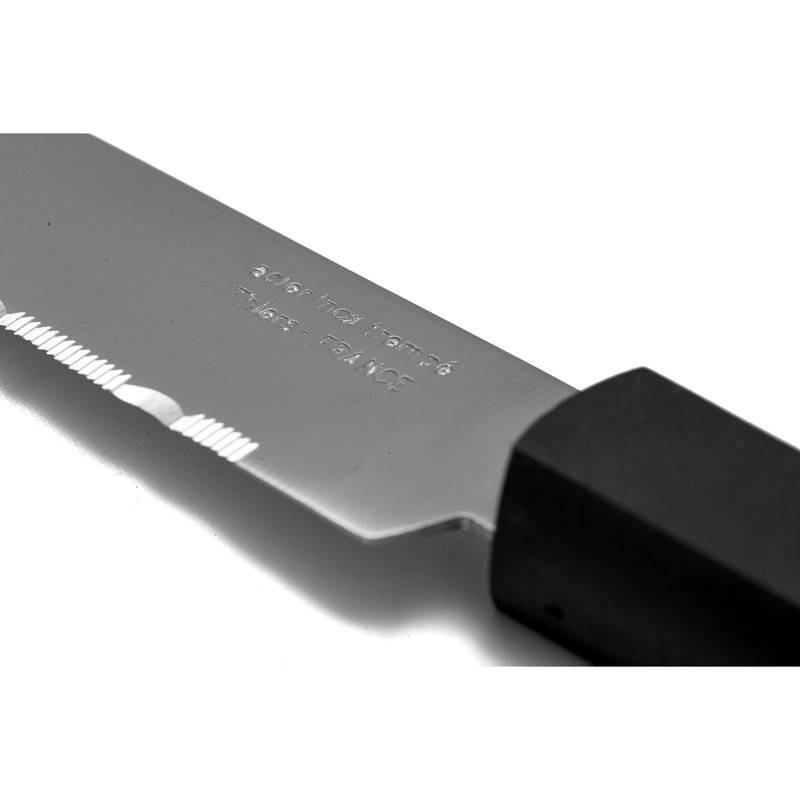 Perfectly corrosion-resistant, the blade of this French knife can be personalised by laser engraving: you can write your personal message upon request. 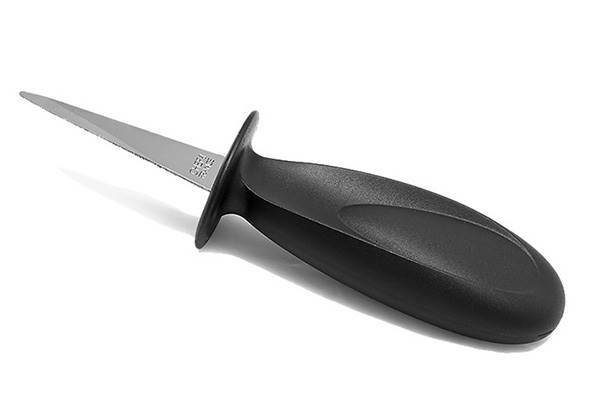 Made of ABS (Acrylonitrile Butadiene Styrene), the ergonomic handle of this Made In France steak knife fits perfectly in your hand and is thus very easy to handle. 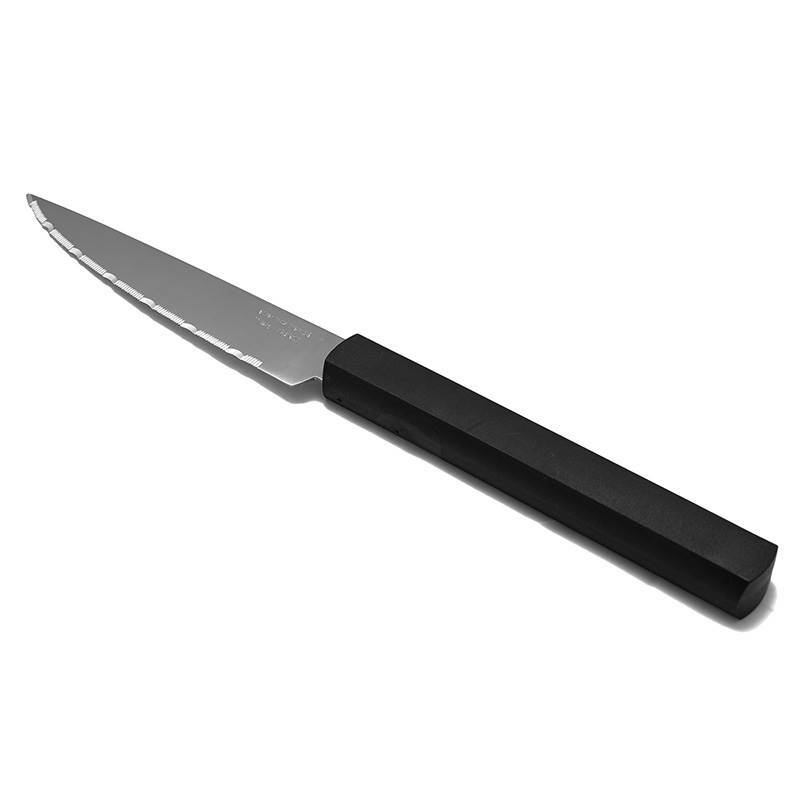 ABS is a thermoplastic polymer commonly used in high-end cutlery, it is light but sturdy being consequently manoeuvrable. Its black colour reinforces the sobriety of a classic design.